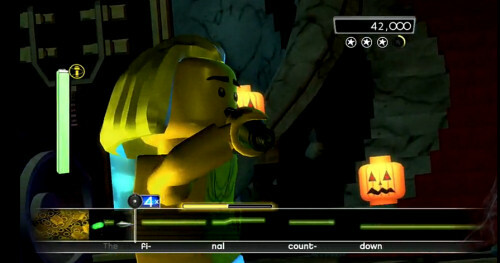 LEGO Rock Band releases next week on multiple platforms, complete with blocky four player co-op goodness. The latest trailer for the game showcases four songs from the game: Counting Crows' "Accidentally in Love", Bon Jovi's "You Give Love a Bad Name", Tom Petty's "Free Fallin'", and Europe's "Final Countdown." I can't wait to play "Free Fallin" on a pirate ship. Or "Give Love a Bad Name" in a zoo. Seriously, these backdrops are hilarious. I hope I get to play "Kung Fu Fighting" on the moon! Page created in 0.5079 seconds.